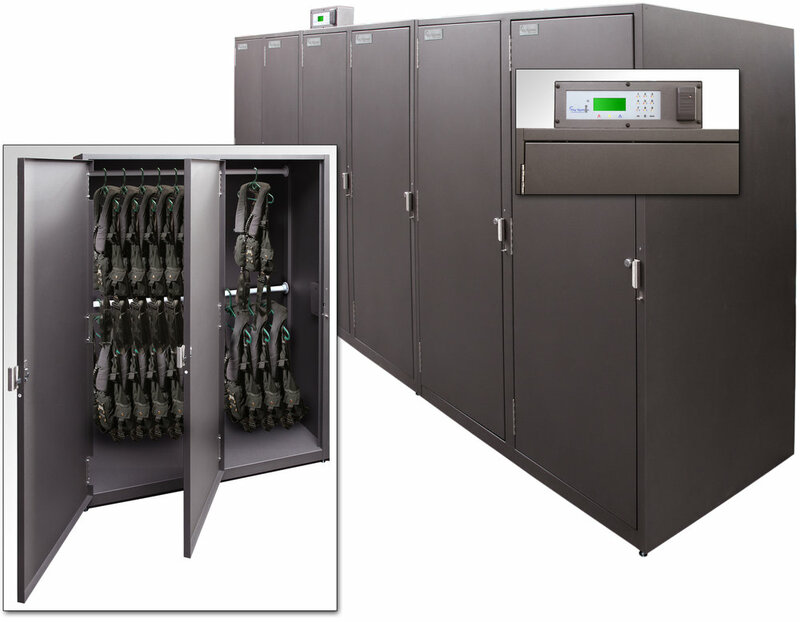 Electronic Lockers — Key Systems, Inc.
KSI provides secure locker systems for electronic device storage, charging, and tracking. Our intelligent lockers can be built for any size or number of electronic devices and can be subdivided into your desired number of cavities. Compatible electronic devices include Apple® and Android™ based tablets, laptops, cell phones, USB devices, and many more. Select from our popular cabinet configurations, or let us design custom lockers to securely manage and charge your electronic devices. Upon request, individual lockers can be designed to charge your devices while securely stored within. Key Systems, Inc.'s Security Asset Manager™ cabinets and lockers come in a variety of shapes and sizes. The locker system shown here is designed to store over 100 medium to large assets with plenty of room for more. KSI prides itself in the ability to store, secure, and monitor any sized asset you have. Large, small, multiples or single assets - we have a solution for you. 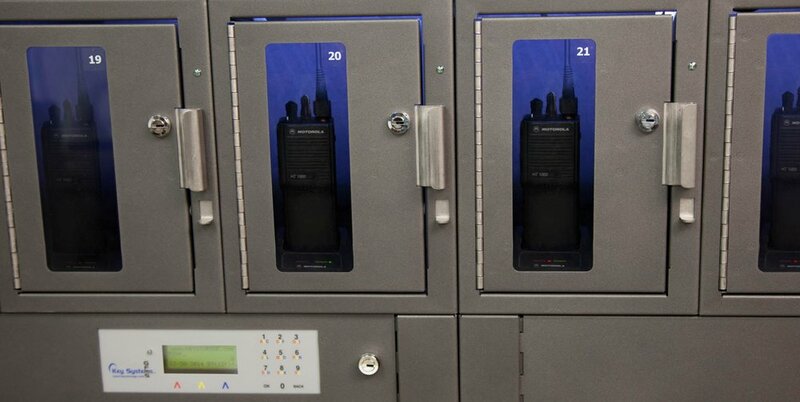 Radios may be secured and charged while housed within a locker. A clear Lexan door adds the ability to conduct quick visual audits. Internal LED Lighting is available inside the locker compartments for illumination and assisting quick visual audits. Want to store and secure various assets without entire lockers? Check out the Compartment SAM. 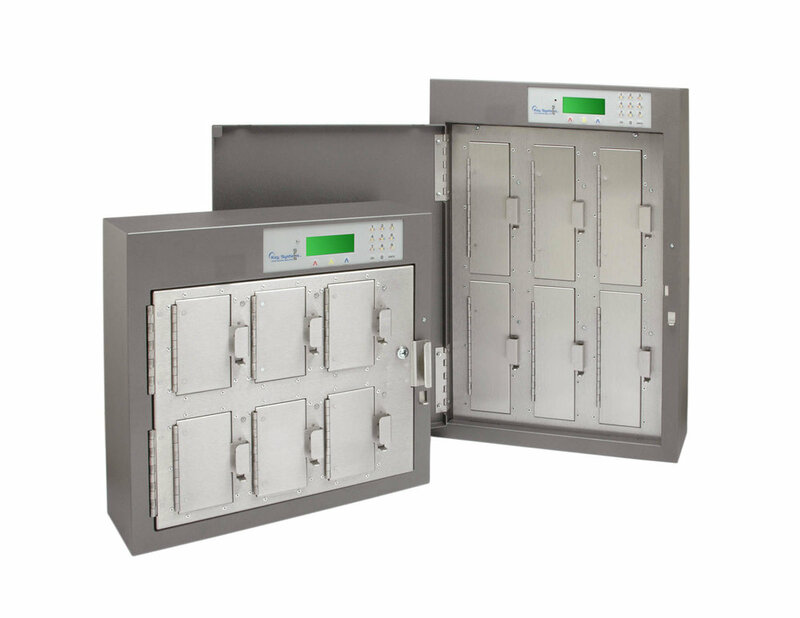 Using GFMS™ technology, this SAM configuration enables you to secure and monitor even the smallest of assets in individual locked compartments.